It was a Steely Dan song that inspired John to pursue a career in the wine industry. The restaurant business – first learning about wines, then becoming a buyer and wine steward (the name for a sommelier in the 1970s). I moved to California and the supply side in 1980. Working as a waiter in the mid-70s, I spent a day wine tasting with some local professionals and then got called into a hectic night of work on my day off! When Steely Dan’s “Aja” started to play for the third time that night, I had it and decided at that moment that I was going to pursue a career in the wine business. 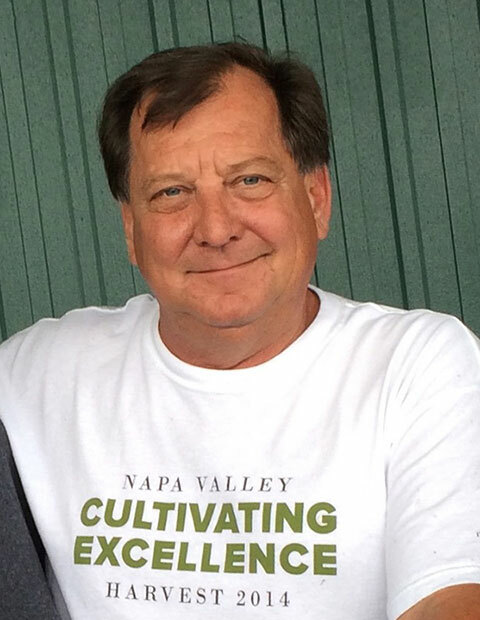 I have been fortunate to have worked with many greats of the Napa Valley, like Charlie Wagner at Caymus, Bernard Portet at Clos Du Val, Francis Coppola, Tony Soter and John Konsgaard. But I would have to say Dan Duckhorn, because he showed me we could roll up our sleeves and get a job done, no matter the obstacles. To craft something that is singularly creative and inspirational that brings such joy and pleasure to people. Also, to go to a restaurant and see Lang & Reed on the list or being enjoyed by a customer. To not become cynical about the inherent changes taking place over time around us in the Napa Valley; to accept these changes as an evolutionary process, and learn to listen and be tolerant to new ideas. We believe as a family in giving back to the community. My parents, Kate and Bob Skupny, are legendary for their volunteerism over the past 30 years in the Valley. Having lived and worked here for 35 years, we have one foot rooted in history and one foot moving toward the future. I would probably be a paint-throwing hippy artist living and skiing in Santa Fe, New Mexico. That I grew up near Minneapolis and was the paperboy for Cindy Pawlcyn’s family. Also, I don’t like mayonnaise.